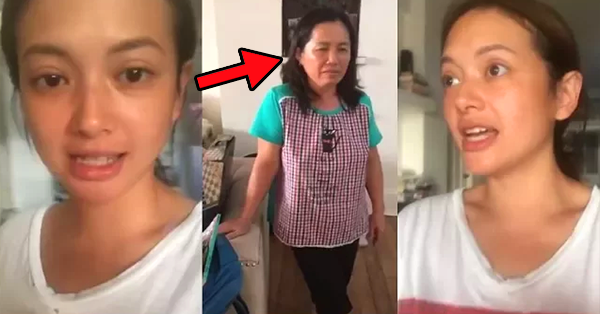 Home / Celebrity / News / Viral / WATCH: How Ellen Adarna Treat Her Maid Caught Netizens Attention! WATCH: How Ellen Adarna Treat Her Maid Caught Netizens Attention! It’s not new to us that Ellen Adarna is a true person and doesn’t hide anything — what you see is what you get. On other hand, there is a video that cycles online showing the possibly unseen side of the kapamilya actress. Find out by watching the following video. They say that your true colors and your attitude can be seen when you’re inside the house. Because when you’re at home, you can no longer pretend but to be yourself. This viral video of Ellen Adarna proves that she’s really a free-spirited woman and very adorable at the same time. The said video was taken by the star and was later uploaded it on snapchat. She filmed all her maids gathered in her living room looking quite wasted due to hangover. As an employer, Ellen has all the right to reprimand all her maids or even fire them for staying out all night and not doing their jobs. Instead of sanctioning her maids, Ellen just filmed her ‘yayas’ as they were gathered in her living room and asked them how was their night and if they were able to find some men interested to them. Not to mention, they even confessed to Ellen that they haven’t paid yet the tricycle driver who took their home. Going through the comments, netizens found Ellen as a very cool employer. Some even expressed their willingness to apply as Ellen’s maid, if she’s looking for one. Same with the netizens, we also find Ellen very cool. She has again proved that she’s a nice person inside and out. Upon watching the video, Are you also with us? Do you think Ellen is really a cool employer? Share your thoughts by dropping them below!